"Play Where the Pro's Play"
En-Joie is a fantastic venue for you next fundraiser or charitable golf tournament. We pride ourselves on running first class golf tournaments that are sure to impress all of your participants. 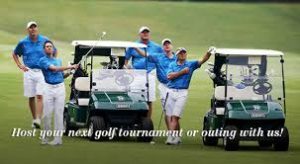 There’s no doubt that our tournament operations will impress your clients, customers, or event supporters after playing in a tournament at our great golf course.